Mickey Stones was happy with Horncastle Town’s improved performance, but frustrated at what he called ‘two points dropped’ at Ruston Sports. 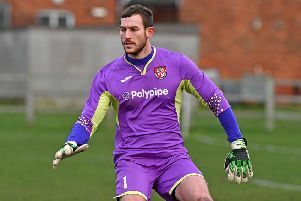 Richard Jackson appeared to have secured the the points for the Wongers at Newark Road, only for Rustons to level with minutes to go. 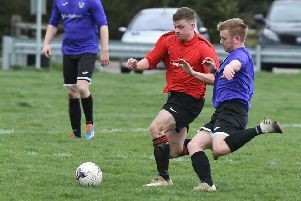 “It was an improved performance, but definitely two points dropped,” said Stones, whose side had moved up a gear from the previous week’s 3-2 defeat at Lincs League basement boys Louth..
“We were in complete control of the game but they scored from really their only attack of the game. “We had the wind against us first half and we said to the lads to keep it at 0-0. Jackson opened the scoring in the 54th minute with a slice of luck in blustery conditions. “We’ve been telling him to get in those areas and put crosses in,” Stones added.